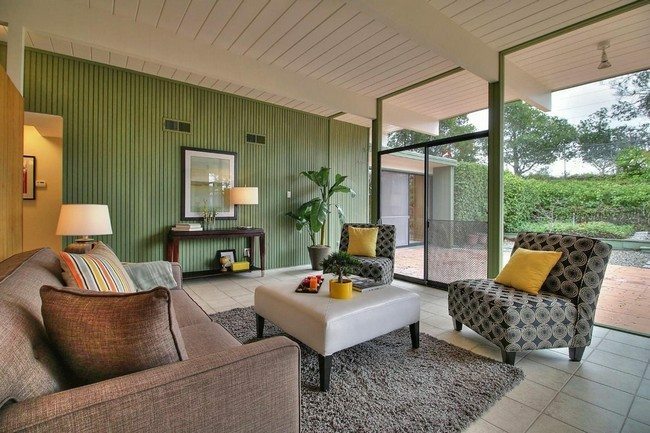 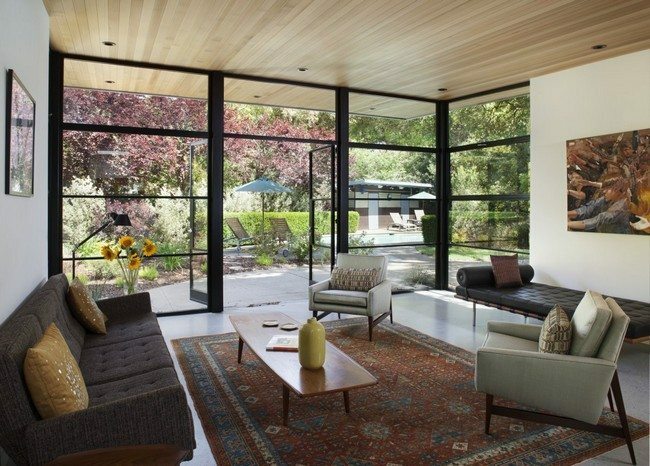 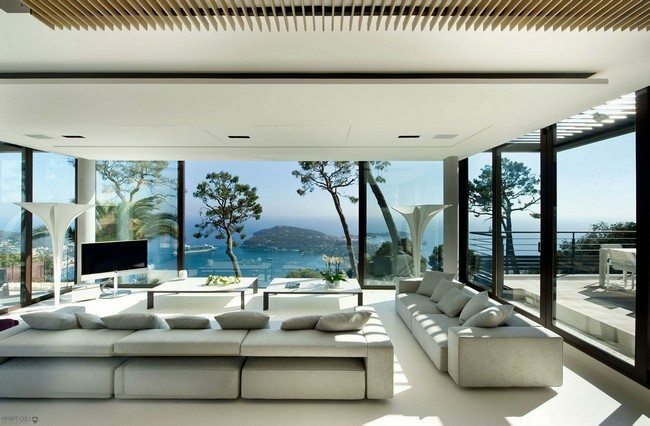 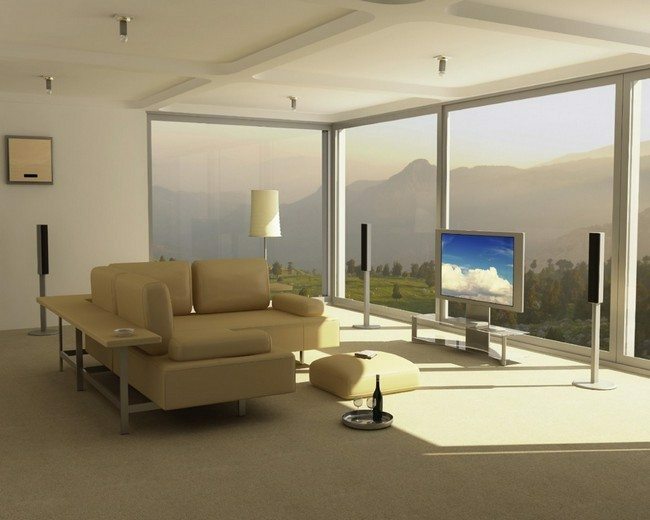 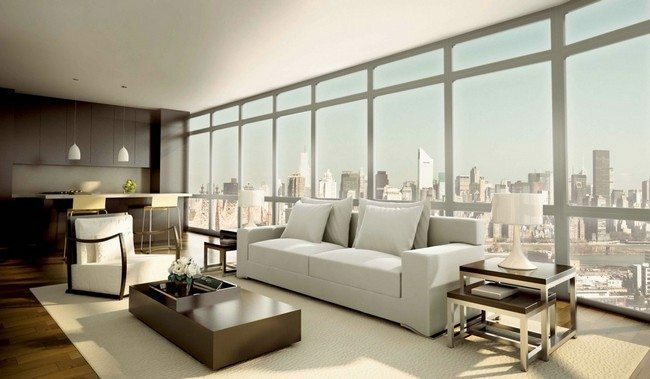 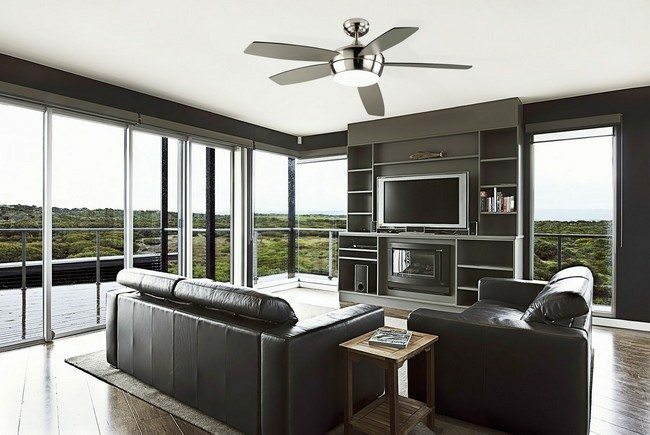 Living rooms with glass walls are both beautiful and exciting. 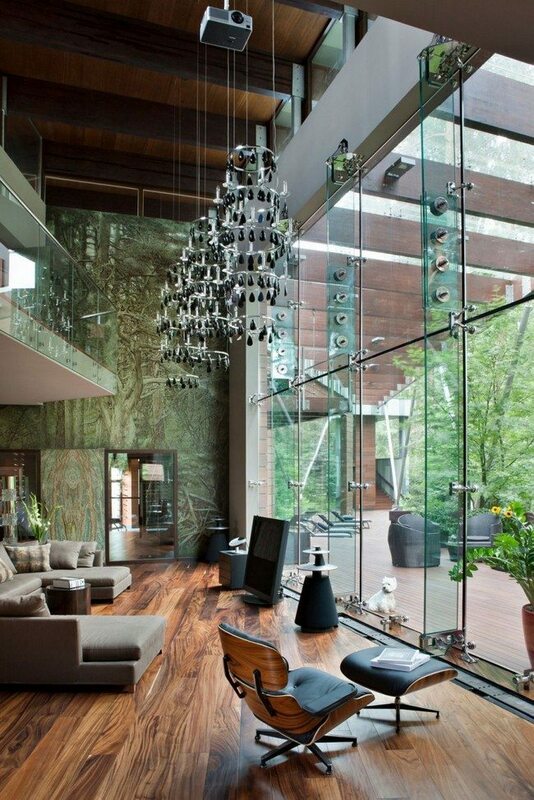 Glass has the ability to create a sophisticated and high-end look in the house. 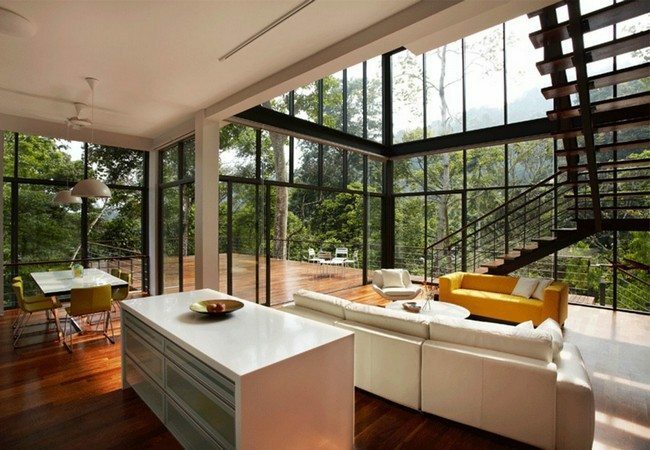 The good thing about glass walls is that they can be incorporated in many interior designs; ranging from contemporary designs to rustic designs. 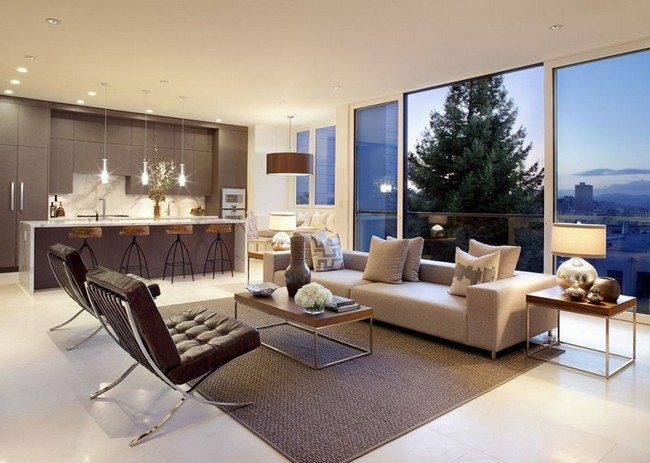 Below are some ideas to inspire you if you are thinking of incorporating a glass wall in your living room design. 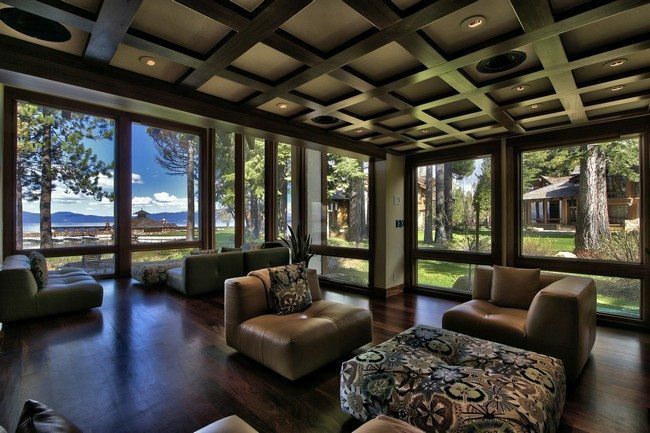 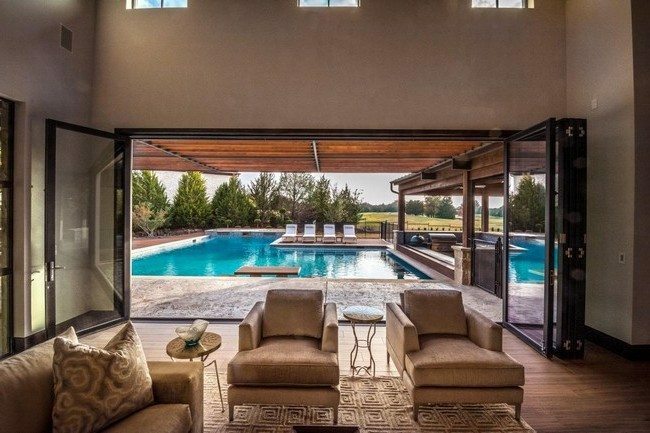 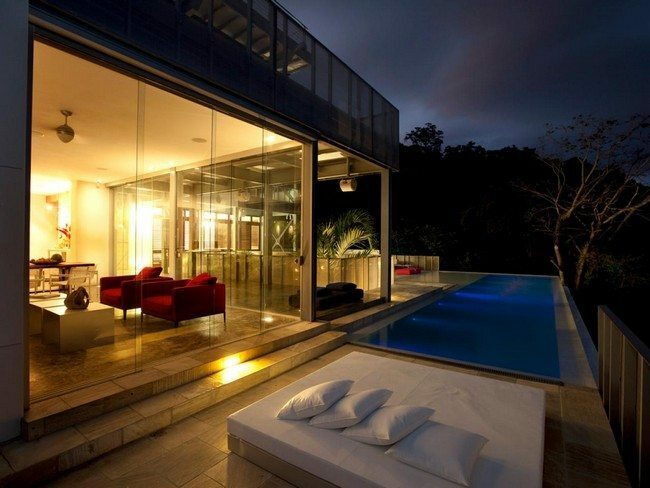 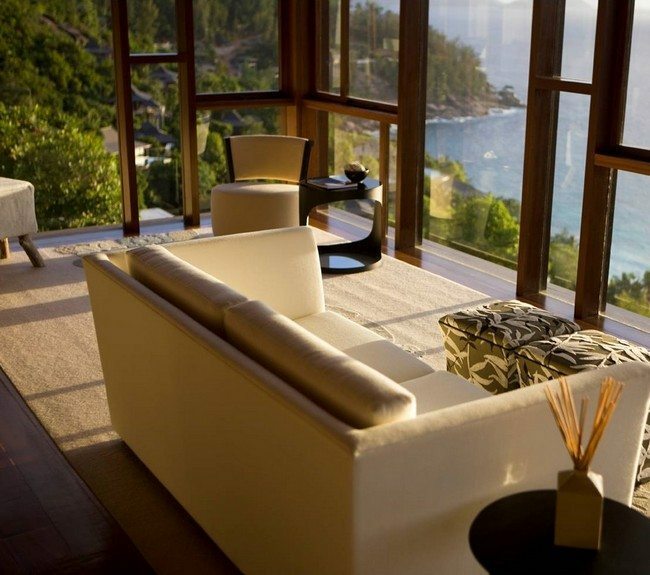 With glass walls, there are no boundaries, enabling you to enjoy the view of the outside environment. 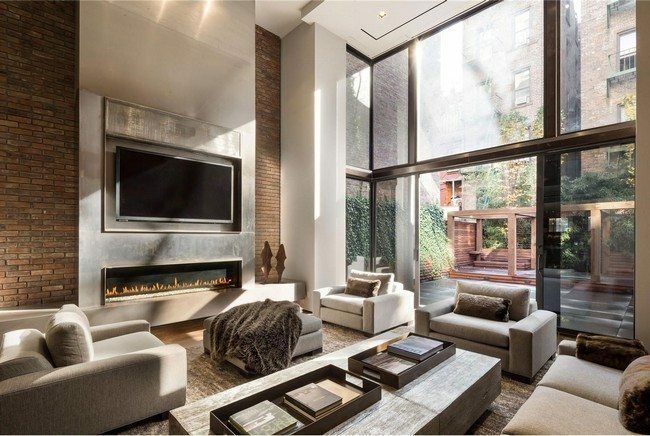 The stone wall portion of this living room works with the glass wall to create a natural feel that is airy and comfortable. 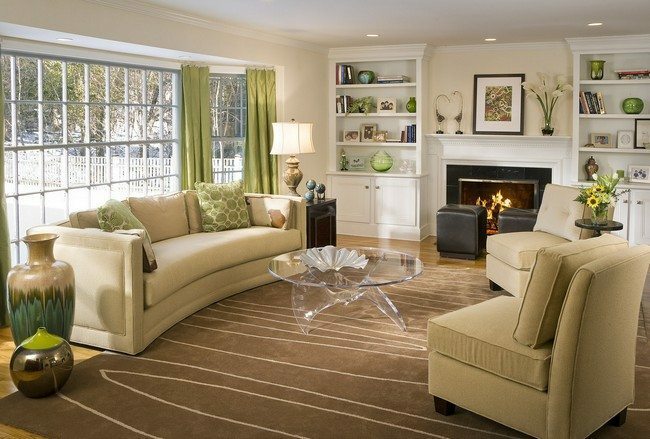 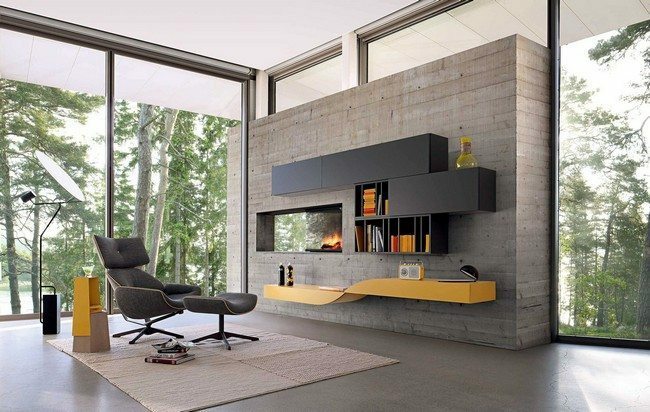 The fireplace and small bookshelf also helps create an ambient and lively feel in this living room. 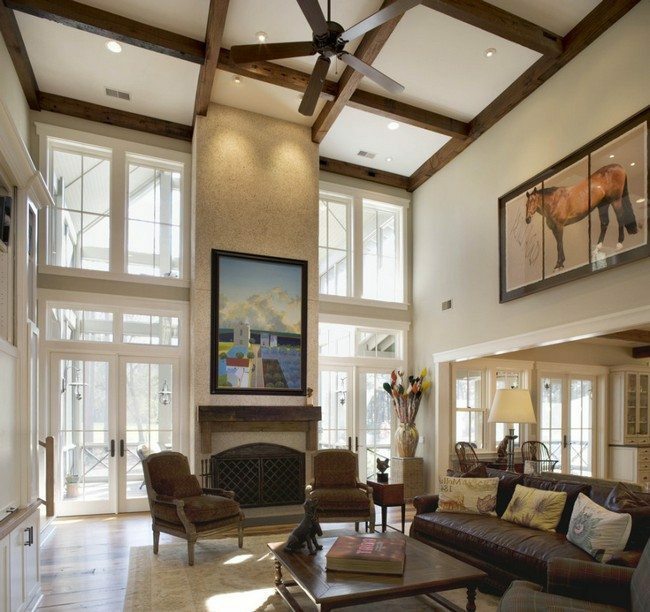 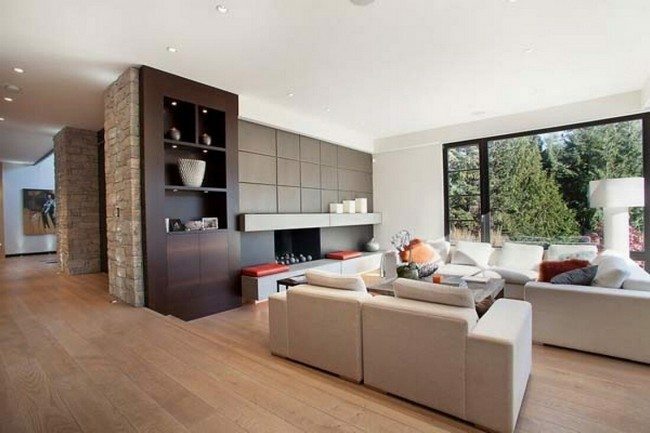 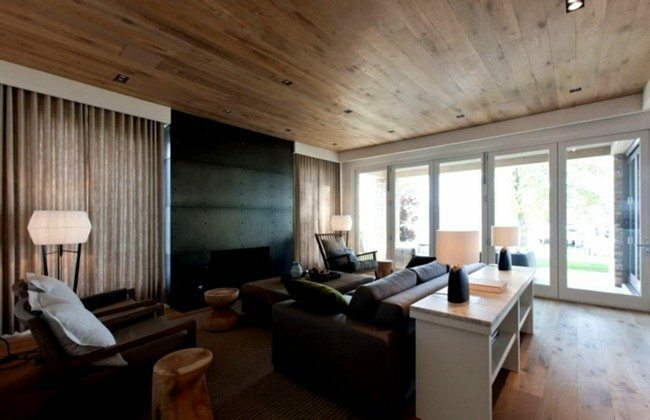 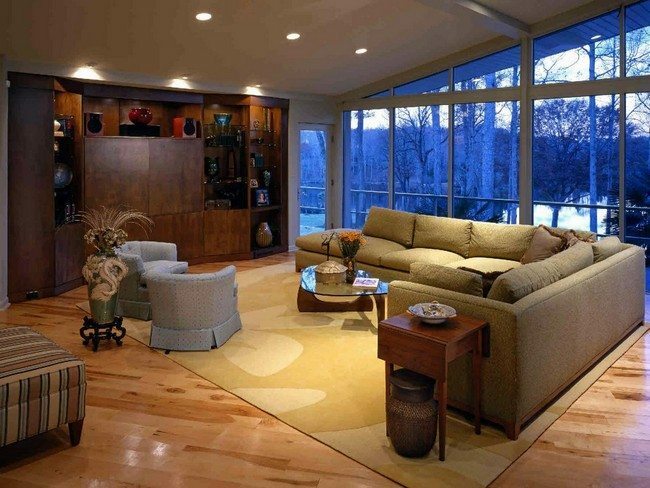 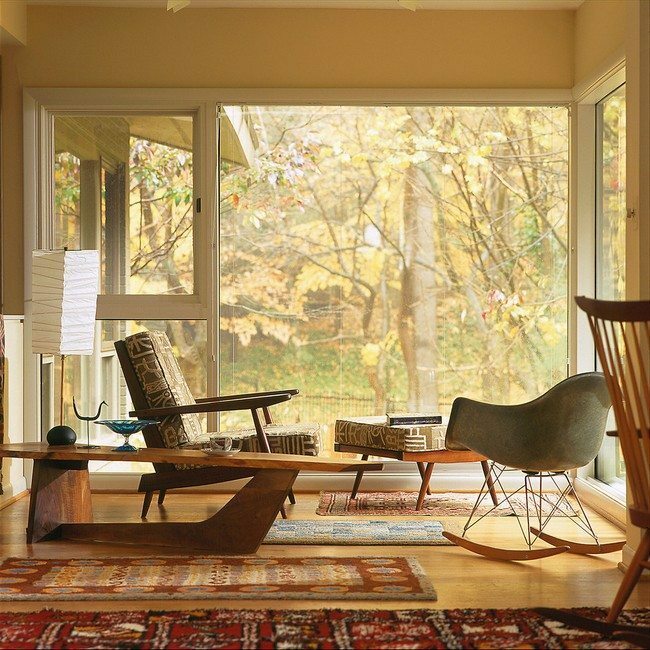 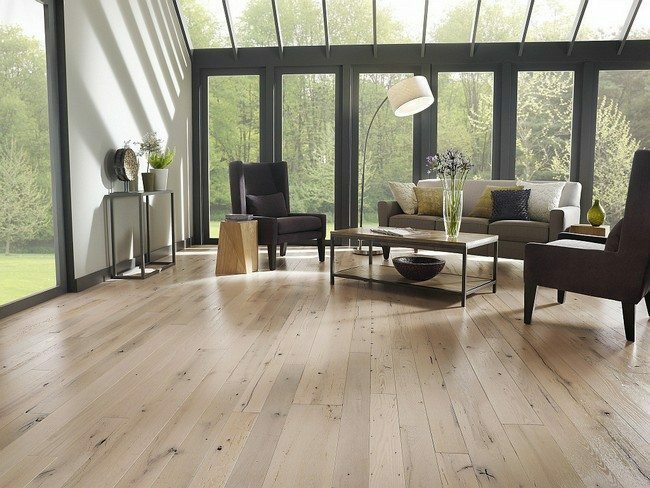 Wooden floors are a great complement for houses with glass walls. 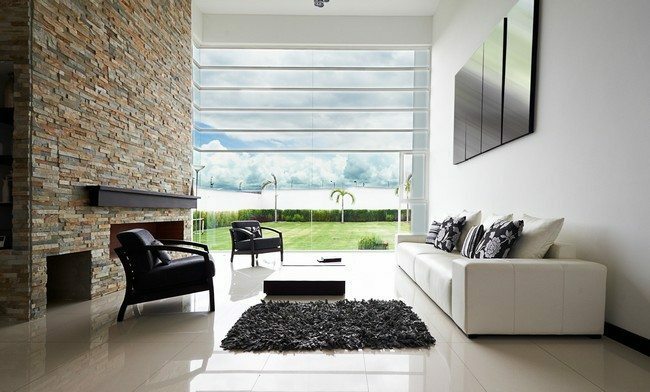 The black and white theme also accentuates the glass wall perfectly by lighting up the room. 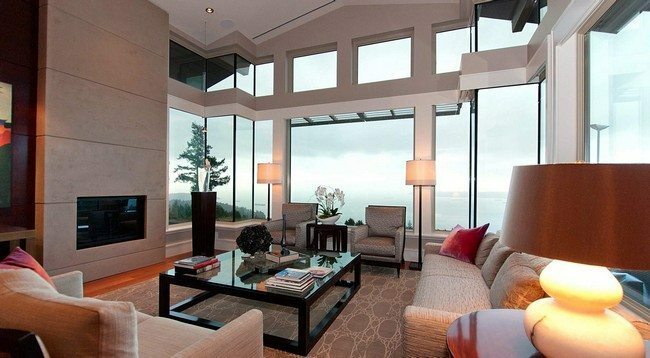 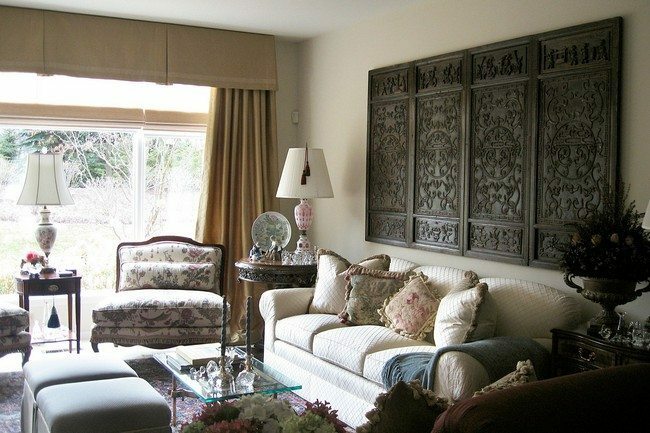 For this living room, the glass wall has amid-section with glass doors. 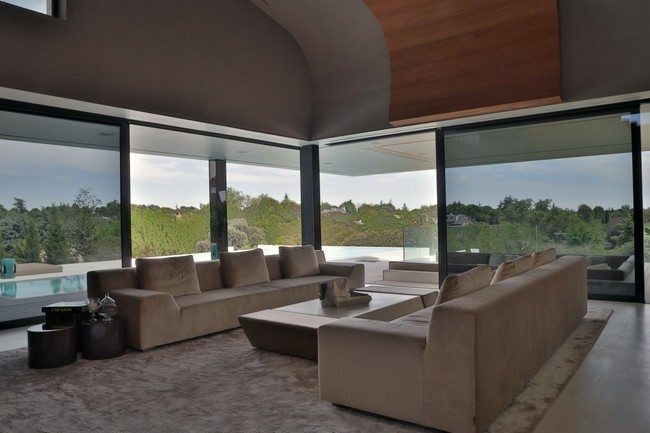 The patterns on the carpet and artwork on the wall, combined with the glass wall, create a seamless and continuous look with the outside. 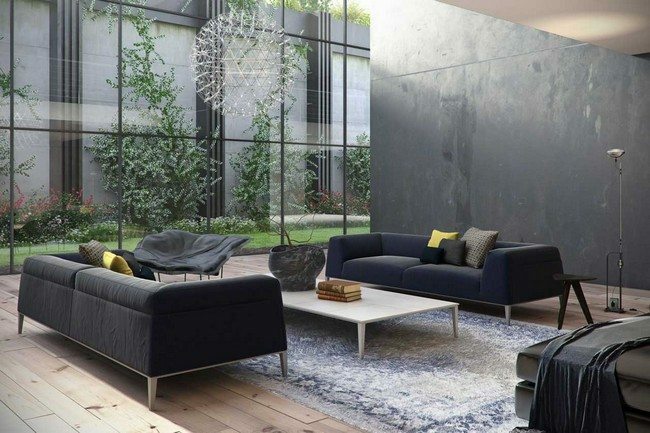 The design breaks the boundary between the interior and exterior of the house, making users feel like they are part of the beautiful garden even when they are in the house. 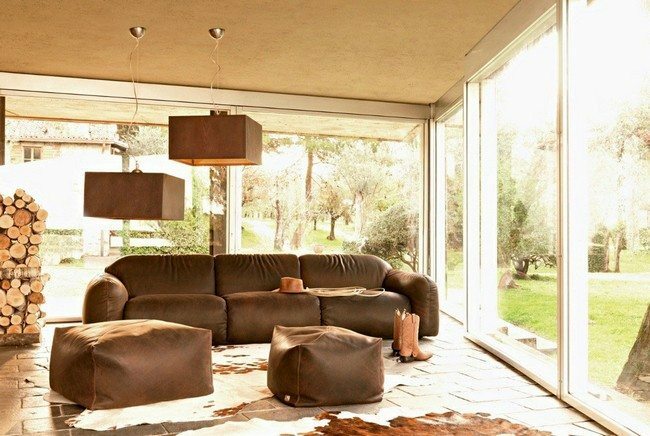 The exterior of this living room acts as a point of attraction for viewers in the room. 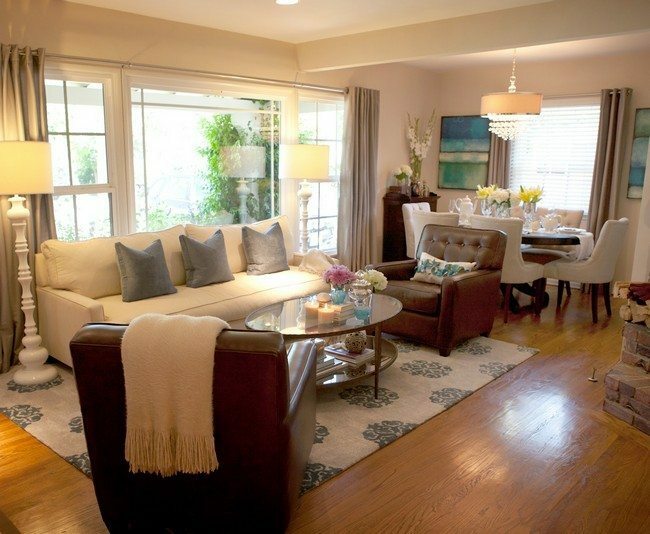 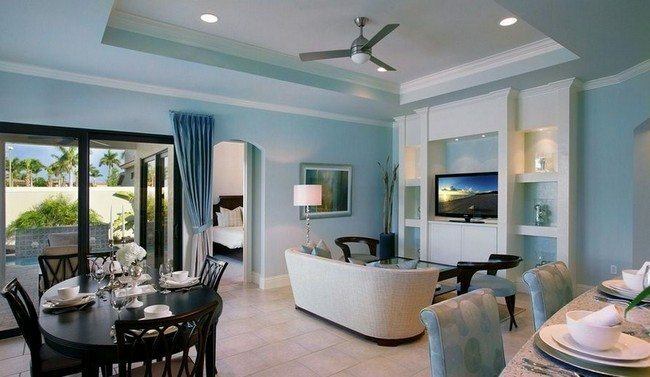 The blue feel brings a cool and calming feel in the living room. 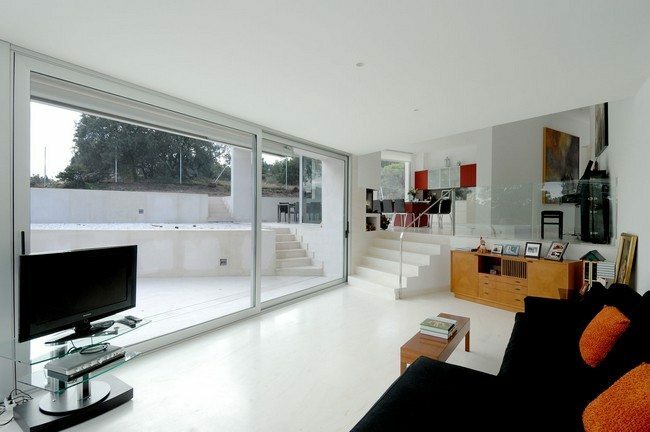 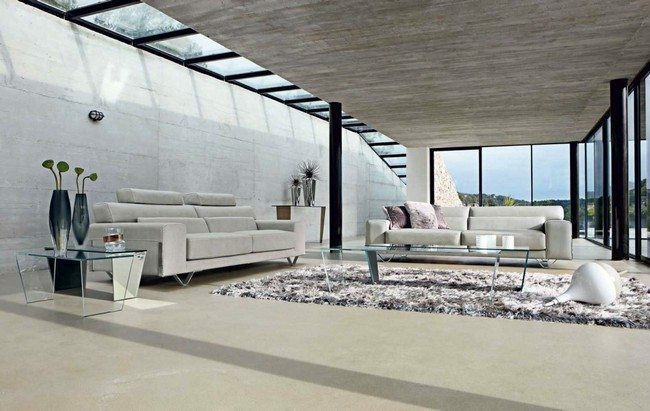 Glass walls can help create a bold and dramatic look in an otherwise plain and boring living room. 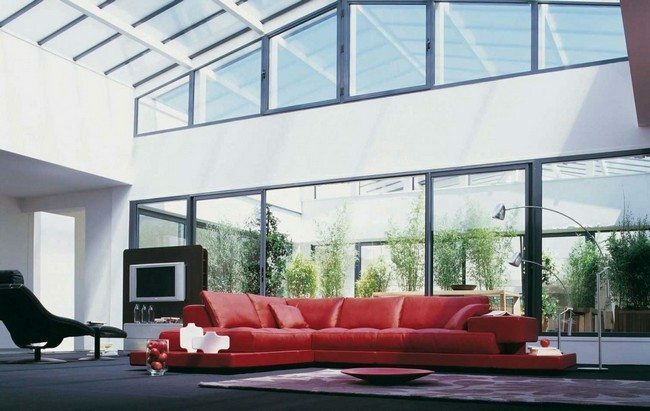 Depending on the structuring and angles of the room and glass, glass walls can be used in any kind of design and setting. 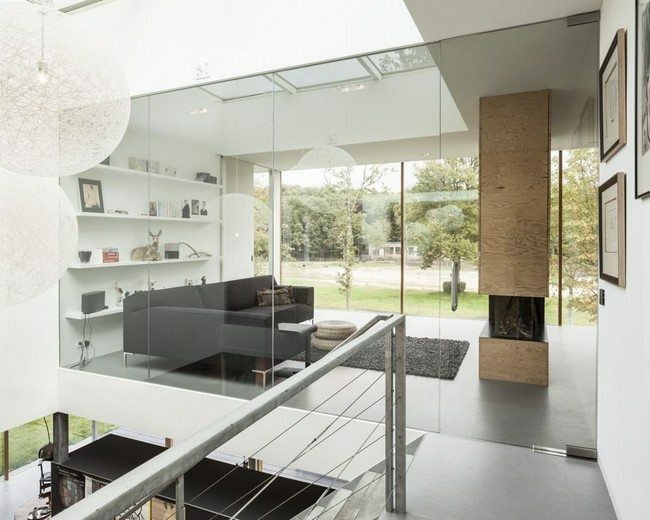 This versatility and flexibility of glass walls makes them highly desirable. 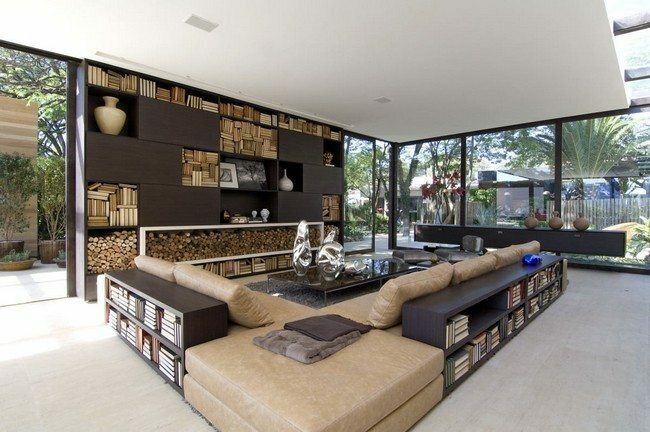 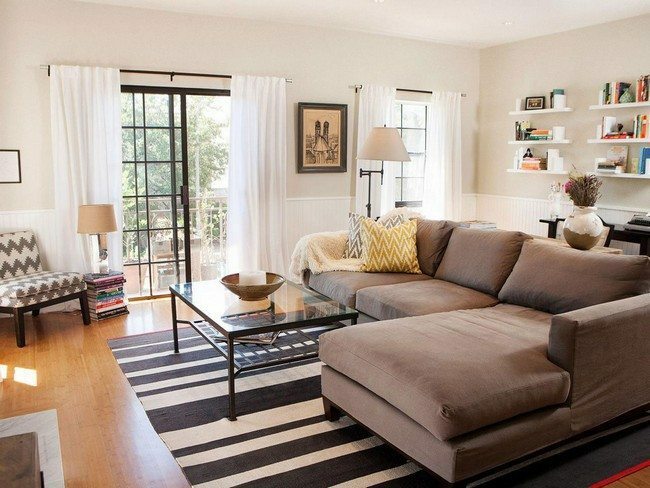 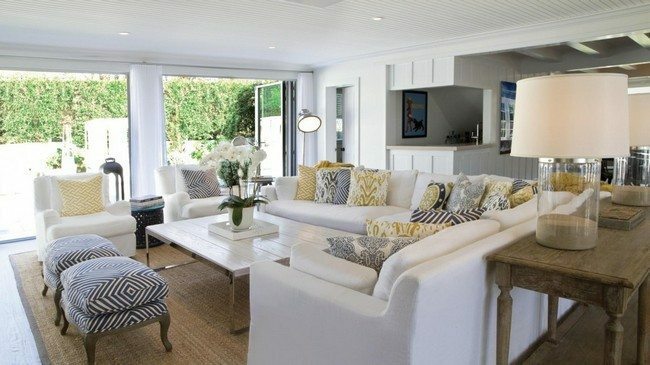 There is nothing better for a living room than adding a glass wall. 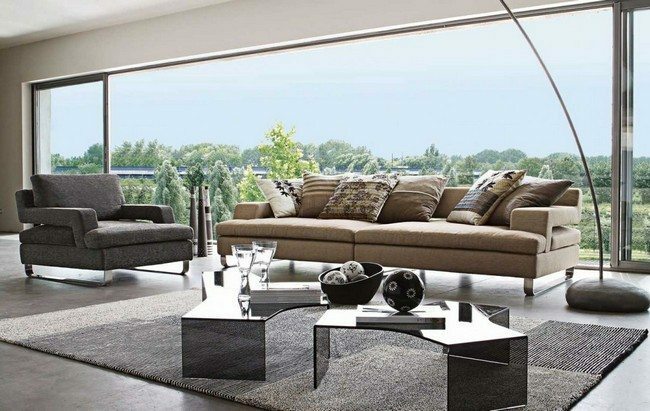 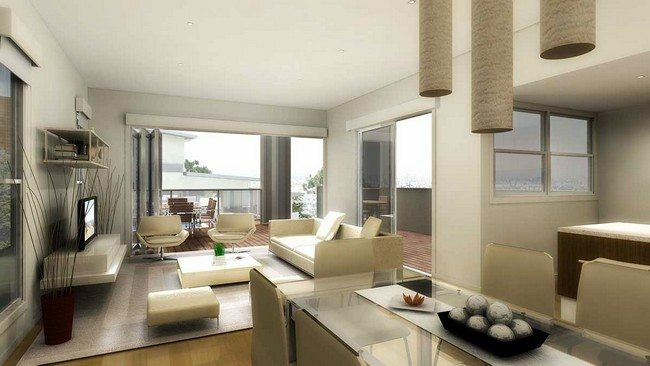 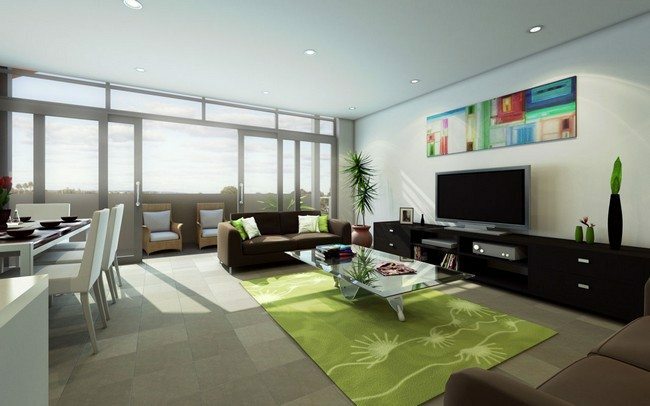 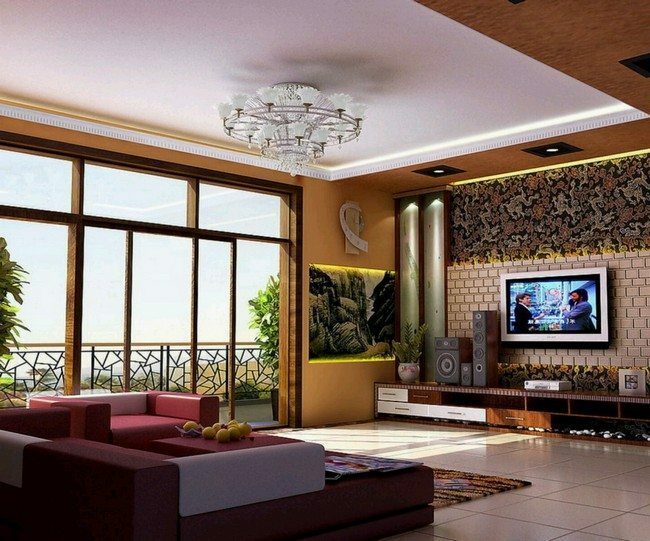 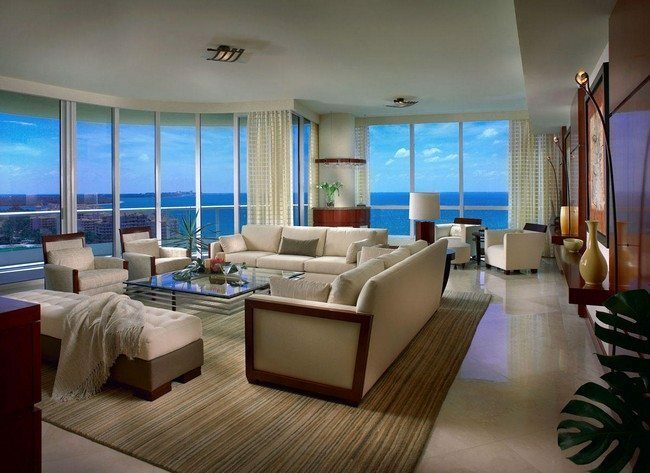 Glass walls in living rooms edge up the sophistication and create an airy ambience. 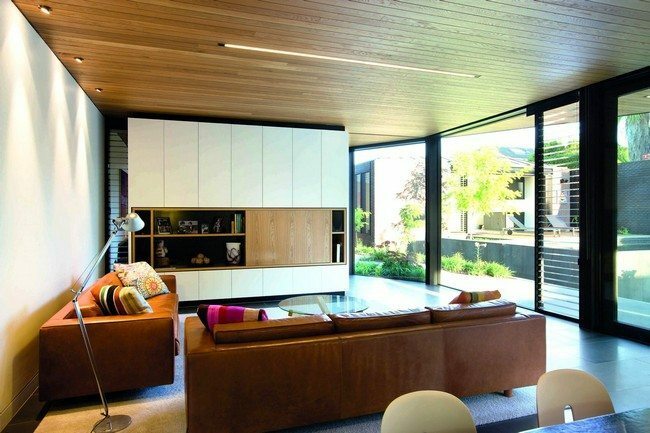 Glass walls work excellently with wooden elements and accessories to create a warm and earthly feel that brings people close to nature. 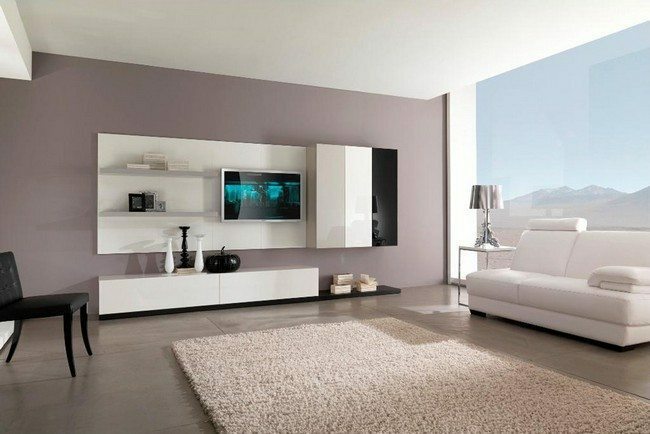 Neutral-colored furniture and accessories work with glass walls to create a simple and inviting like in this living room.